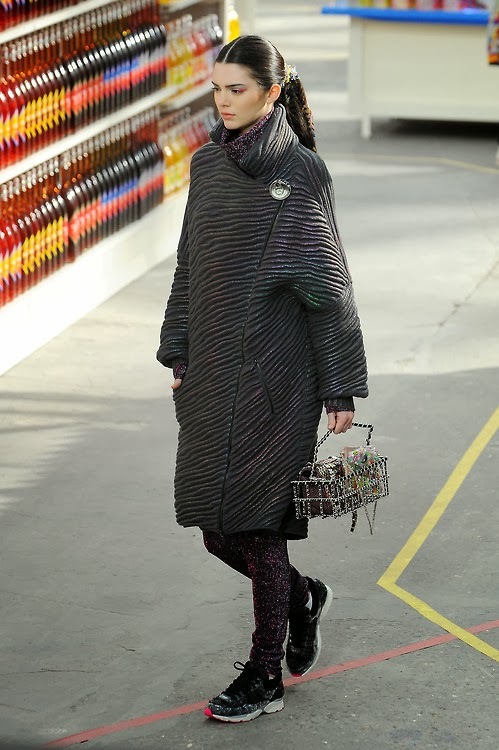 Karl Lagerfeld turned the Grand Palais into a CHANEL SUPERMARKET. 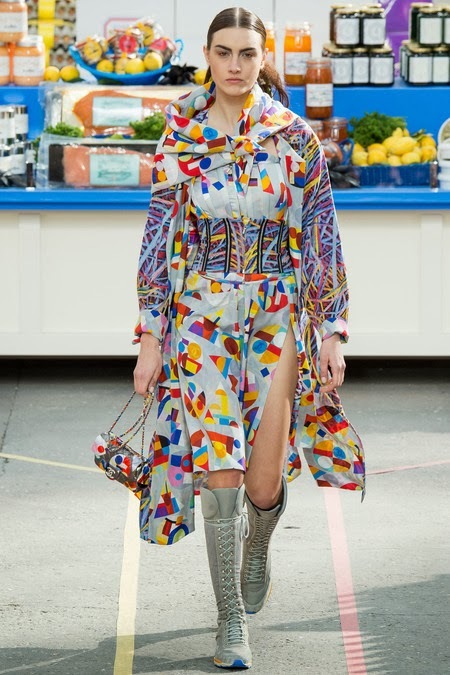 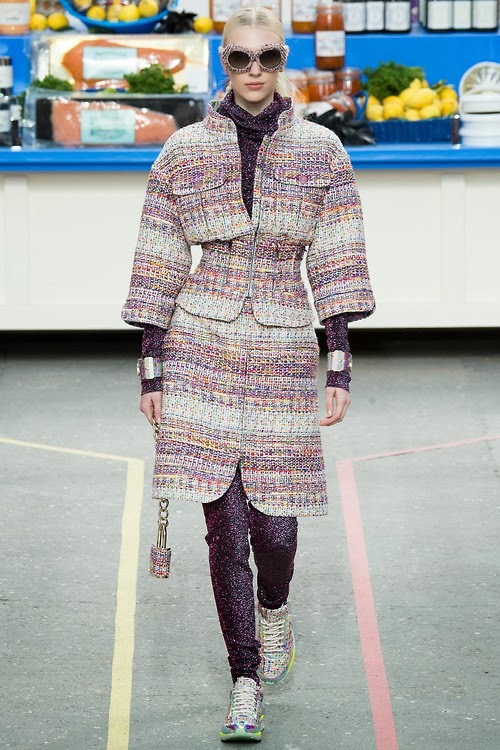 It included everything CHANEL branded from produce, cereal and home goods. 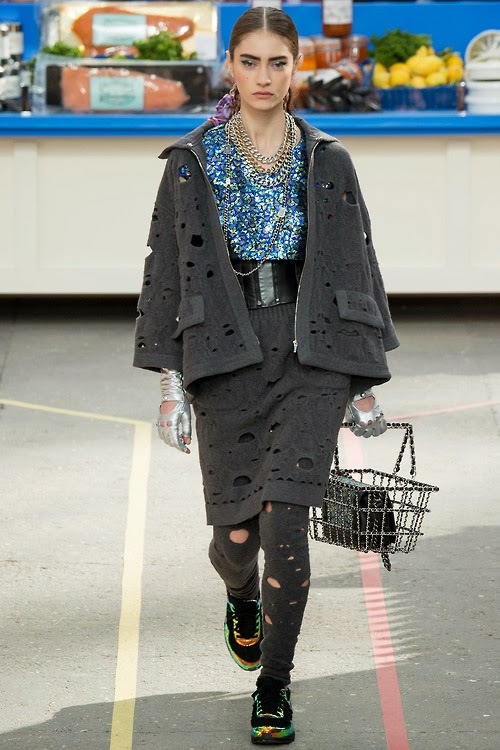 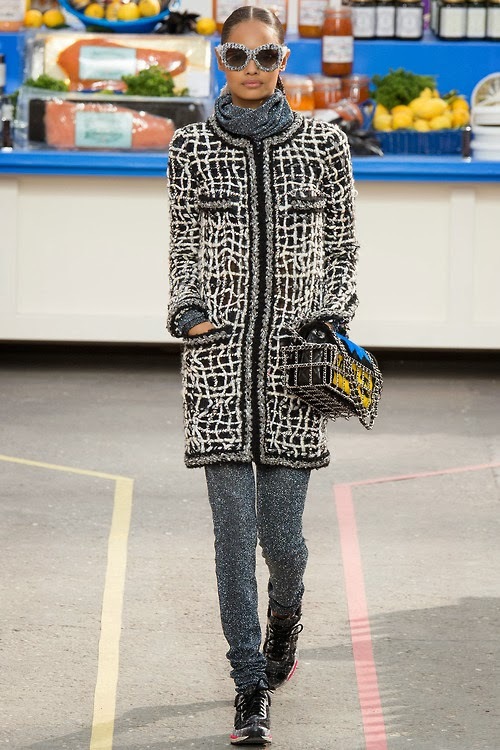 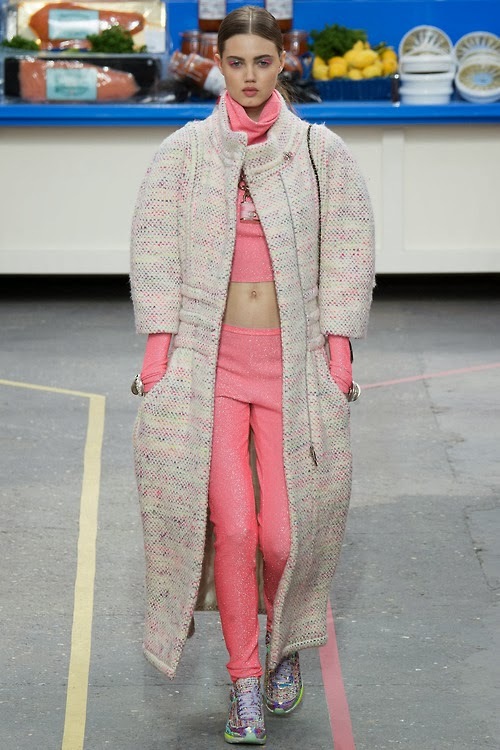 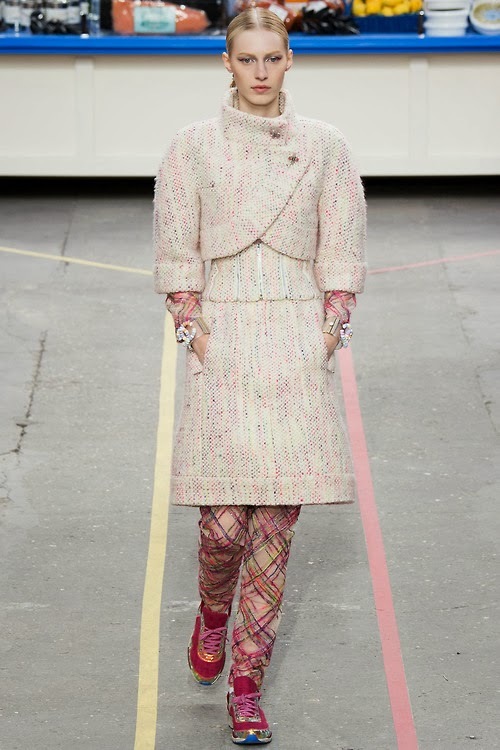 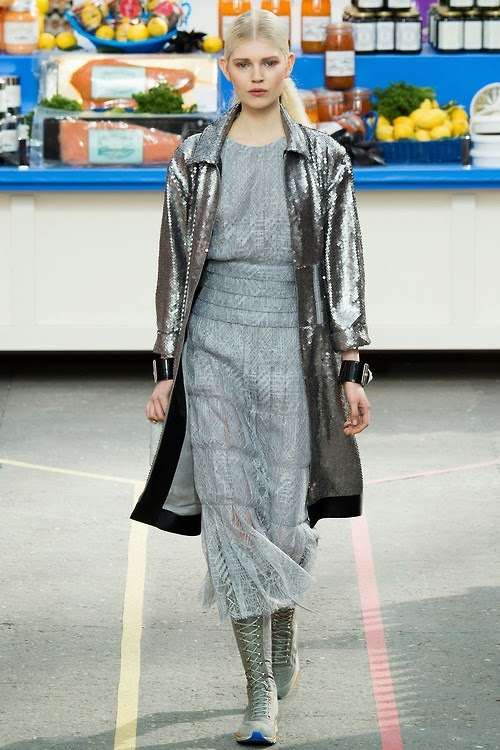 CHANEL's Fall/Winter 2014 Collection consists of tweeds, knits and cool trainers(tennis shoes).